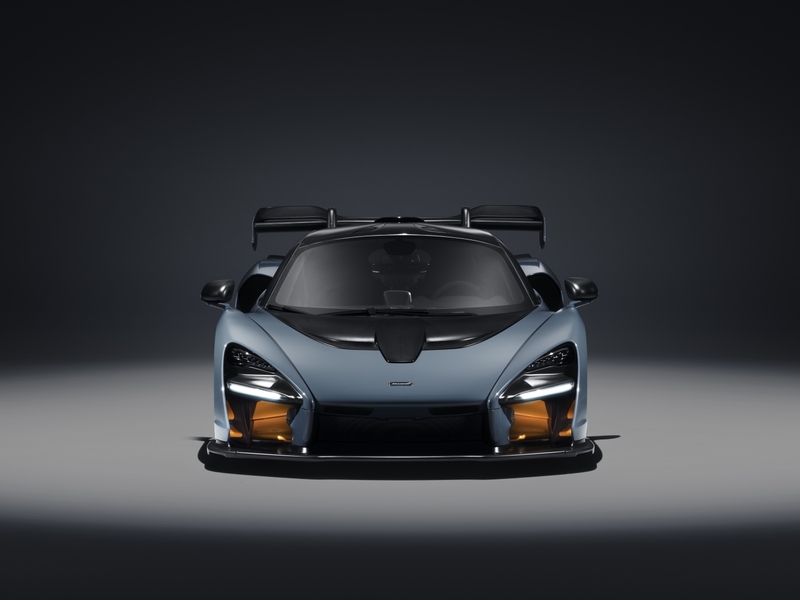 McLaren has revealed more details about the 2019 Senna hypercar before it makes its official public debut at the Geneva Motor Show in March. Before we get into what's new, let's recap what we already know about the brand new Senna. This is the newest entry in McLaren's Ultimate Series product line, the highest performance tier in the brand's lineup. 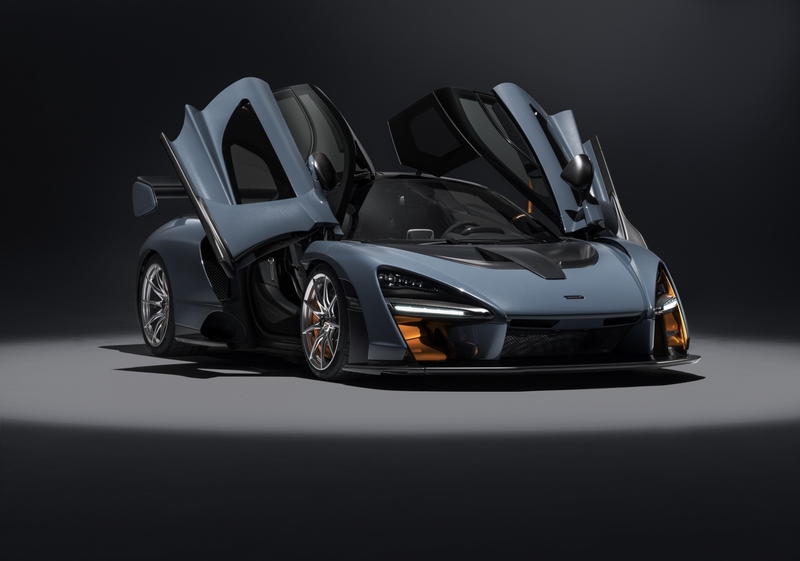 It gets its power from a twin-turbocharged, 4.0-liter V-8 making 789 horsepower, and uses a carbon fiber monocoque chassis from the lovely 720S production car that helps the car weigh just 2,641 pounds dry. The Senna will cost the equivalent of about $1 million, but unless you're contacted by the company, you won't be getting one no matter how much dough you have. Now for the new information, and there's a lot. McLaren will hand-build just 500 Sennas at its headquarters in Woking, England––an arduous process that takes 300 hours per car. 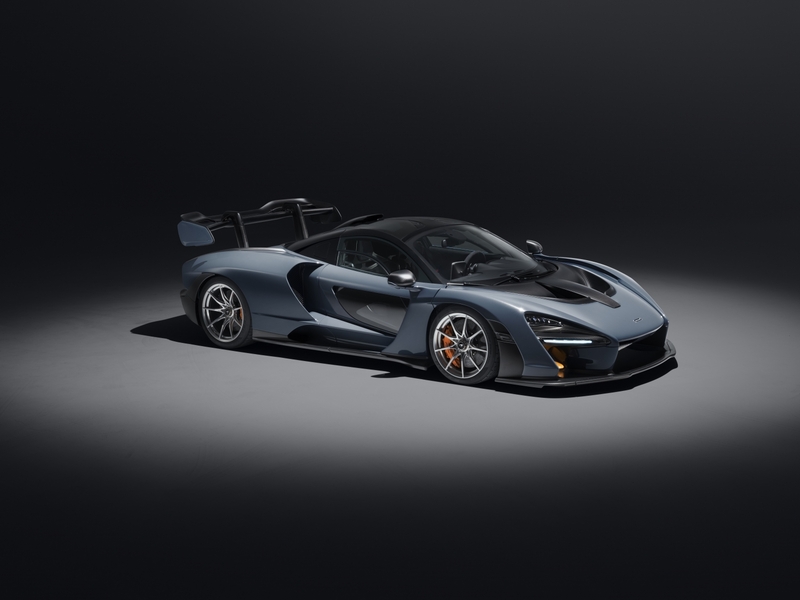 The Senna's mighty V-8 will send power to the rear wheels through a seven-speed dual-clutch transmission, and the driver can swap to manual mode and use the car's carbon fiber shift paddles at the touch of a button. It will accelerate from zero to 62 miles per hour in 2.8 seconds and has a top speed of 211 mph. McLaren also says it will do the quarter-mile in 9.9 seconds. That isn't particularly impressive, considering a stock 720S has been tested doing the same thing. However, the Senna isn't meant to just go fast in a straight line, it's optimized for the corners. 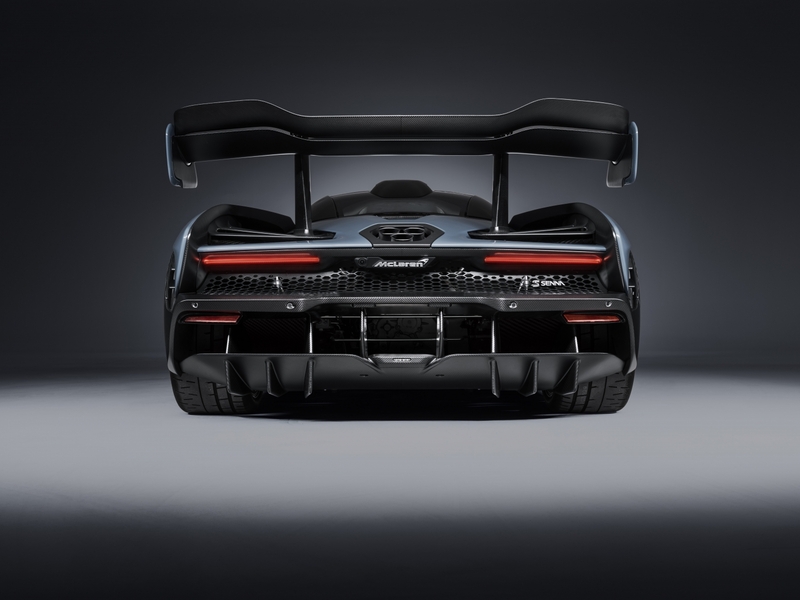 The Senna's adjustable carbon fiber rear wing helps it generate 1,764 pounds of downforce on the track. It makes use of lots of Lamborghini Huracan Performante-esque active aero pieces on the front and sides of the car to adjust air flow through the vehicle's body, aiding handling. The owner can also choose from four driving modes, which adjust ride height, center of gravity, and suspension stiffness. Buyers can choose from a huge color palette for their Sennas, including 18 "normal" exterior paints and 16 unique hues from McLaren Special Operations. Some of these colors include Vision Victory grey, Trophy Mira orange, Stealth Cosmos black, Vision Pure white, and Trophy Kyanos blue. 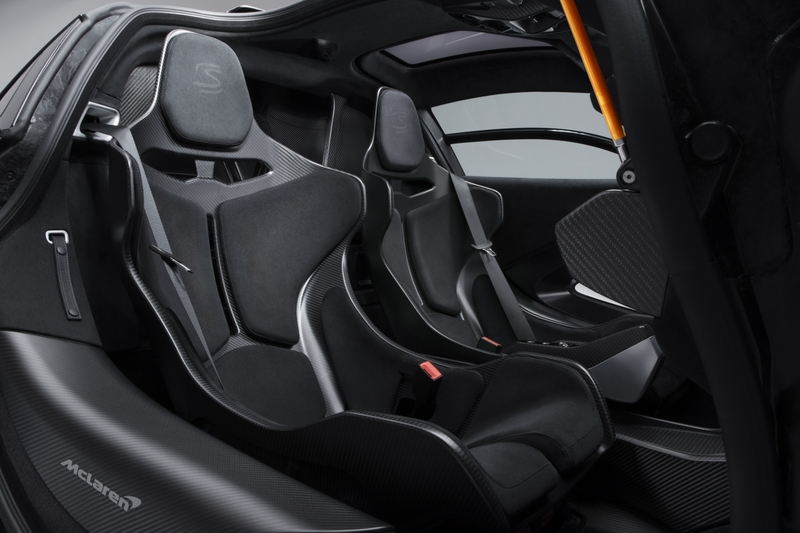 They can also select the color of the steering wheel and upholstery although carbon fiber and Alcantara are abundant throughout the cockpit. 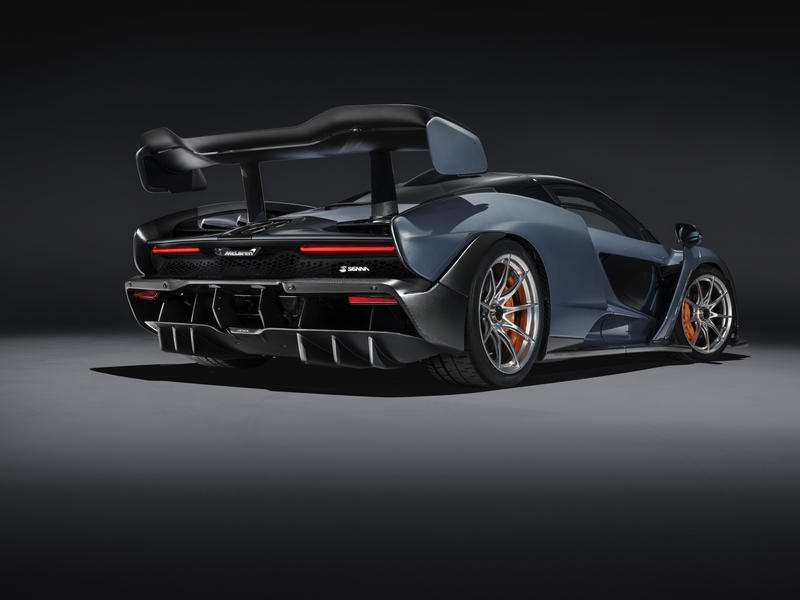 McLaren promises that the Senna's exhaust note will be more than enough to please audiophiles, but the car also comes with a lightweight Bower & Wilkins audio system. The Senna will be on display at the Geneva Motor Show on March 6, but if you can't make it to Switzerland, these facts should at least make you the champion of the next car-related trivia night.